Kentucky Fried Chicken (KFC), one of the largest fried chicken fast-food chains in the world with 19,000 restaurants in 119 countries, has been reported to offer vegan options in Vietnam for a limited time. 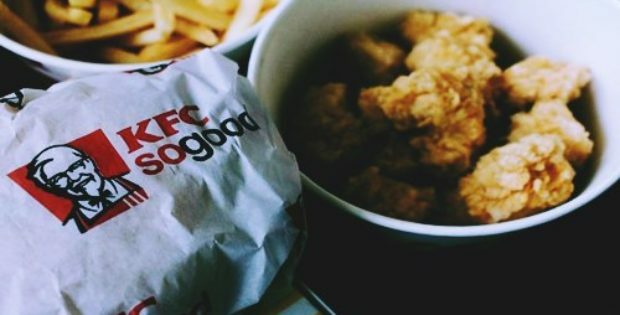 According to reliable reports, KFC Vietnam stated that the vegan options, which include two plant-based chicken dishes, have been introduced to coincide with the Lunar calendar and at the beginning of the month of July. For the unacquainted, the Vietnamese population, a majority of who are Buddhists, believe in pleasing their deities by consuming vegan foods during certain days in the Lunar calendar. Vietnamese restaurants serving vegan foods record a significant rush during such days, plausibly based of the success rate of which, KFC may be trying to tap into this demand for vegan food by offering plant-based meat items on its menu in the country. Head of Food Innovation, UK, Victoria Robertson, has been quoted to say that the company has come to realize that people are growing increasingly passionate about eating well and therefore KFC is facing a big challenge in shifting people’s discernments of what KFC offers. KFC has been trying to revamp its image and the perception among customers about what the popular fried chicken restaurant offers by introducing vegetarian and healthier food options in the UK. Apparently, the trials for healthier food options were not limited by KFC to UK alone. Though the demand for vegan food options has been in the rise dominantly in the western market, data from reliable research went on to show that Asia Pacific will be the region with the fastest-growing demand for plant-based meat by 2023. Reports demonstrate that food technology innovations and industrial growth will be two factors which will play a significant role in driving the demand for plant-based meat products. Brands such as Impossible Foods and Beyond Meat have been launched in the Chinese market while a startup called Right Treat has also introduced Omnipork, a vegan pork in Hong Kong.